The indefensible impost of jurisdictional fundraising regulations is a discredited and dysfunctional exercise in wasted resources, writes David Crosbie, CEO of Community Council for Australia. Opinion: The indefensible impost of jurisdictional fundraising regulations is a discredited and dysfunctional exercise in wasted resources, writes David Crosbie, CEO of Community Council for Australia. This week Pro Bono Australia News reported on how Australia’s ineffectual fundraising regulations have again been highlighted by a well-informed group including: Australian Institute of Company Directors, Justice Connect, Governance Institute of Australia, Chartered Accountants Australia and New Zealand, Australian Council of Social Services, Philanthropy Australia, Community Council for Australia (CCA) and CPA Australia.The issue of regulatory reform to fundraising is a longstanding CCA priority and while welcoming contributions earlier this week, I think it is worth adding some substance to the arguments about the negative impact of the existing provisions on charities seeking to raise funds nationally. As we all know, the dog’s breakfast of fundraising regulations in this country creates a deplorable waste of time, energy and resources. It is a national scandal that despite repeated calls for reform over more than a decade, we are still in a situation that no self-respecting, for-profit industry would tolerate. Imagine if your driving license was only valid in the state you lived in and you needed a separate car license to drive in any other part of Australia? Imagine if every state and territory had different requirements for food labelling and separate safety standards on medicines? After all, every jurisdiction is different so all barriers are justifiable! And, so it is with fundraising across Australia. Below is an actual case study from the Foundation for Alcohol Research and Education (I should state for the record that I am a former board director of FARE). This is an actual example of the red tape and maze running required to register a national fundraiser called Pregnant Pause in which people support their pregnant partners by abstaining from alcohol during their pregnancy and donate the money to address Fetal Alcohol Syndrome (thanks to FARE for putting this summary together). This matrix of diverse requirements is just the start. West Australian applications require all charities to organise and pay for police checks which are to be submitted with the application, Queensland requires hard copies of the public advertisement, Victorian applications require each director to sign the same copy of the application form, etc. etc. There are even regulations covering the length of handles that can be attached to collection boxes in some jurisdictions (dating back to the days when people on horses might be tempted to poke collection boxes into public house windows without dismounting if the handles were long enough…). What happens to all this information? A total of approximately 17 full-time, taxpayer-funded staff across Australia spend their time collecting, correcting and filing these applications. There is little enforcement or follow up, with less than 10 charities being prosecuted each year for breaches. 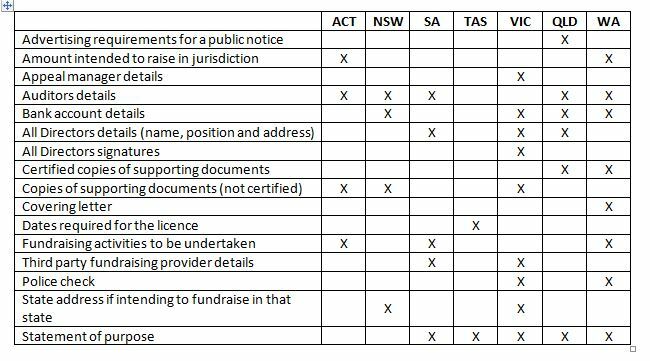 This time consuming set of worthless administrative tasks is not what Australians want charities or their public servants to spend their time doing. All the charities I know are more than happy to be accountable, to be able to demonstrate that the funds they raise are used for their charitable purpose, and that they try to maximise their return on fundraising investments. Perhaps more importantly, all charities know that fundraising is grounded in trust. 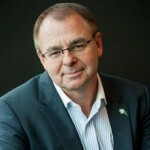 Building trust and confidence in the charities and Not for Profit sector is considered so important by the whole sector that it is one of only three objects of the Australian Charities and Not-for-profits Commission. Now it is time for states and territories to stop creating barriers, red tape, duplication and pointless processes that are costly and counterproductive. Let the ACNC do its job. More importantly, let charities and Not for Profits get on with what they do best, building flourishing communities. The indefensible impost of jurisdictional fundraising regulations is a discredited and dysfunctional exercise in wasted resources. 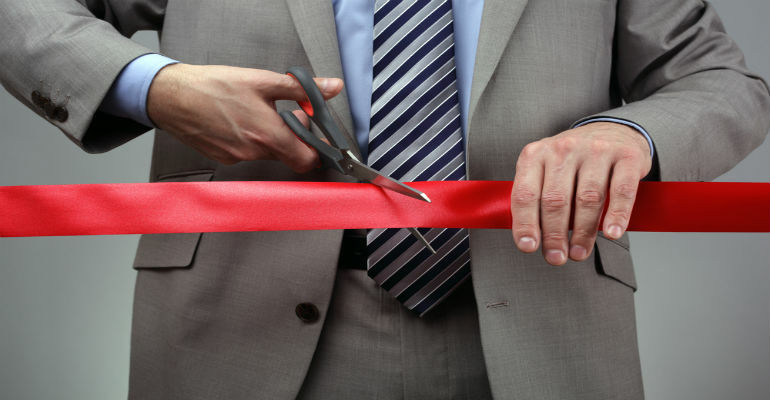 Government representatives, influential policy commentators, politicians and others continually talk about productivity and the need to reduce red tape. Words are cheap. CCA chair Tim Costello will again this week be writing to all the responsible government ministers urging a more practical and common sense approach. I would encourage others to do the same. CCA is signatory to #fixfundraising and the Justice Connect online campaign. Join the campaign here.